Beeswax building real time bidding technology. 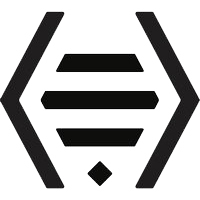 Beeswax created the Bidder-as-a-Service concept because we believe that every advertiser should have power, flexibility, & transparency when buying programmatic media, so come join the team & help us take our customers into the next generation of Real-Time Bidding (RTB). We are looking for a new addition to our team who is looking to develop their client-facing skills & their expertise in advertising technology. As a Product Support Associate, you will help ensure our clients achieve continued success on our platform through your ability to address their questions & resolve their operational issues with speed & thoroughness. More importantly, you will help our organization continue to grow at warp speed through providing solutions for scaling such as training materials, process improvements, & easy-to-understand documentation. You will work closely with the Account Management, Solutions Consulting, Product, & Engineering teams. It is a great opportunity for someone early in their career who is passionate about the intersection of technology & media to take their career to the next level. Consult customers on complex technical topics, such as log file setup, API calls to help automate processes, user data integrations, & custom ad tech architecture & troubleshooting.